Lanessa Roosa has been missing since Jan. 1. There are gaps in the story of why 21-year-old Lanessa Roosa has had no contact with her family since Jan. 1. But one thing is certain — Roosa’s mother is desperate to hear from her. Greenfield area resident Angela Jordan, Roosa’s mother, says law enforcement is not trying hard enough to find her, and will not file a missing person report. 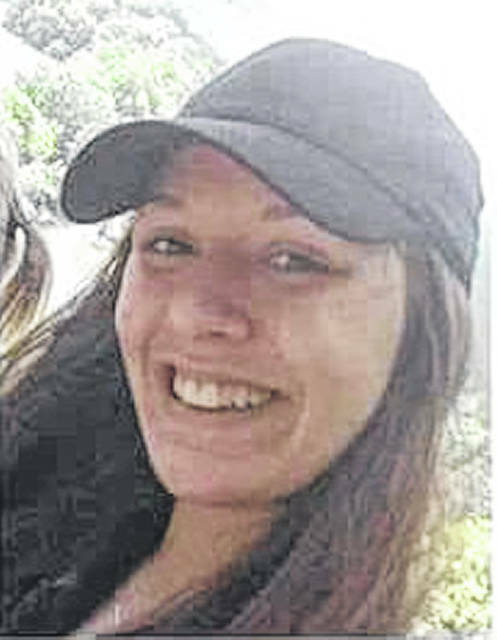 But Highland County Sheriff Donnie Barrera said his office is looking for her, and has followed up on several leads, but as of Thursday afternoon those leads had not been fruitful. But Barrera said not all of Jordan’s claims are accurate. The sheriff said that at 5:15 p.m. on Jan. 1, his office received a call of criminal damaging at the Greystone Motel on U.S. Route 50 just east of the Hillsboro city limits. He said an officer arrived on the scene at 5:26 p.m., and after investigating, determined that Roosa had been crawling through the ductwork above motel rooms, fell through the ceiling, refused help from a man in the room she fell into, then took off into the woods near the motel. Jordan claims that her daughter may have been hurt when she fell through the ceiling and landed on a sink. But Barrera said the person who first reported to the sheriff’s office what happened at the motel was the man whose room Roosa fell into. Barrera said the man did not notice any injuries. “He said she ran up through the woods like nothing was wrong with her,” Barrera said. It is a story with several twists and turns. The series of events apparently began in Greenfield, after police officers there picked Roosa up on a warrant on Dec. 31 and took her to jail. According to Jordan, her daughter, the mother of a 2-year-old, was wanted on a misdemeanor warrant from Greenfield and a felony warrant from Hillsboro. Greenfield Police Chief Jeremiah Oyer did not return calls this week seeking comment on the incident. But Jordan says that Roosa was taken into custody in Greenfield on New Year’s Eve. After receiving a call from Roosa’s father, Jordan said she drove to the GPD and was told that early on the morning of Jan. 1, her daughter was in severe pain, the police department called a squad to check her out, and the squad determined she needed to go to Adena Greenfield Medical Center. According to the Jordan, her daughter was granted some kind of 24-hour medical furlough, then after a couple hours at the hospital, Roosa walked out with her boyfriend. Roosa asked her boyfriend to take her Highland District Hospital in Hillsboro, Jordan said, but on the way there she asked to go to the Greystone first to rest and clean up. Around 5 p.m. that evening, Jordan said she received a phone call from the boyfriend saying Roosa had crawled into a cubbyhole at the motel. She said she was about 15 minutes from Hillsboro when she received the call. “Before I got there she had crawled into the ceiling and over top of three or four other motel rooms before she fell through the ceiling into another room and hit her head and hip on the bathroom sink when she fell,” Jordan said. According to information posted on Facebook, Roosa is 5’3, 115 pounds, white, with a thin build and brown hair. She has a tattoo of a pot leaf on her lower back, a butterfly tattoo on her upper right thigh, and a green and brown camouflage tattoo on her forearm. Jordan said Roosa has not contacted her, her boyfriend — who Jordan said was her meal ticket — or her best friend from her days at McClain High School. She said that is not like her daughter. Barrera said his office wants to find Roosa, she has warrants out for her arrest, and that it is not for a lack of effort that they haven’t located her.